2018 is looking to be an extremely exciting year for YA book-to-movie adaptions! Of course these adaptions always come with their fair share of nail biting and high expectations, because how can a film properly capture our favourite books?! But we can live in hope, right?! Here are some YA books that are being adapted for 2018 and I’m pretty excited for these! The important thing to do is to remember the word: adaption. They’re never scene-for-scene recounts, but as long as they capture the heart of the book, then they’re on the right track! 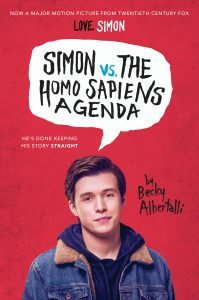 This one is actually being changed to the title of “Love, Simon” which is super cute and really captures the essence of the book, which is full of a boy’s emails to his secret lover. Except he gets busted for it at school and a fellow classmate blackmails him with the email info. Why? Because Simon is gay but not out yet and not ready to be out and now that power has been taken from him. One reason I’m super excited for this movie is how much the author seems happy with the adaption! And also for the fact it stars a gay protagonist in a mainstream movie. About time! 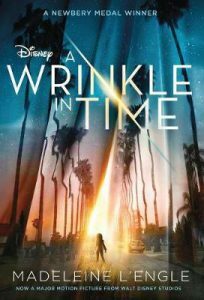 A Wrinkle In Time has been adapted before, but this latest version looks absolutely phenomenal with an all-star cast that includes Chris Pine, Oprah Winfrey, Reese Witherspoon and Mindy Kaling! The trailers are so stunning the visual effects look amazing. Plus it’s nice to see the older cult-classic books coming back to hit a new generation with their amazingness, right!? 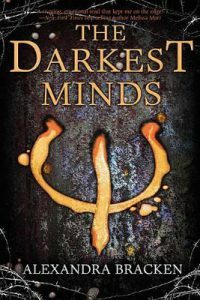 Sci-fi and magic collide when Meg’s father goes missing and she bends time to find him and bring him home. 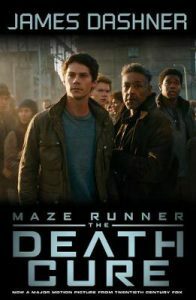 This is the final movie in the Maze Runner trilogy! There was a bit of a wait between movies #2 and #3 due to an accident and injury of the star (which is pretty sad, but seems to have worked alright!?) so we finally are going to see how the books conclude this absolutely epic YA dystopian trilogy. The trailers look really epic and include huge cities and lots of shootouts and high-tech weapons and that feared zombie virus. Although this trilogy has deviated quite a bit from the books, it’s still super exciting to see how they’ve interpreted it. And of course cast is freaking awesome with Dylan O’Brien starring, with Kayla Scodelario, Ki Hong Lee, and Thomas Brodie-Sangster. These ones don’t have trailers yet, but they’re reportedly coming out in 2018 and we are EXCITED for this line up! 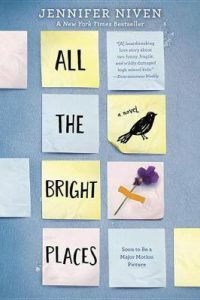 All The Bright Places promises to be an emotional roller coaster and The Darkest Minds (starring Amandla Stenberg) will be a superpower / dystopian action film that’s definitely going to awe us! And also Every Day by bestselling author David Leviathan, which features a teen who wakes up every day in a different body! I’ve talked before about whether films live up to books’ standards, but there’s one much-loved film that many people aren’t even aware is a book. Until recently I was one of them—I came to the book by accident and in reverse long after I’d fallen in love with the film. I’m talking, of course, about The Princess Bride, William Goldman’s ever-so-brilliant tale of true love, honour, comedy, and adventure. What most surprised me about the book, when I did realise there was one to read and set about reading it stat, was how close to the film it was. Or how close the film was to it. Right down to the Fred Savage character interrupting the grandfather, asking him to ‘skip the mushy bits’. Upon closer examination, it kind of makes sense though, as Goldman, who had a hand in the likes of Butch Cassidy and the Sundance Kid, A Bridge Too Far, and All The President’s Men, is a screenwriter well used to writing visually. The Princess Bride may be a novel, but it’s written with screen adaptation in mind. My TPB book discovery wasn’t without confusion though, with someone telling me it was a spoof. Goldman himself inspires this thinking, with his note about how the book is an abridged version of S. Morgenstern’s tale. So who the hell is S. Morgenstern? Well, it’s likely a reference to the abundantly named Johann Carl Simon Morgenstern who coined the term ‘bildungsroman’. What the hell is ‘bildungsroman’? It’s a fancy term for a formation novel, or one that focuses on a protagonist’s moral and psychological journey. Confused? Yeah, me too. But it’s a clever nod and tribute to a guy who named the ‘hero’s journey’ genre that includes The Princess Bride. The brilliantly written The Princess Bride. I mean, which girl doesn’t wish she were Buttercup and lust after Westley? And which boy doesn’t wish he were Westley or Dread Pirate Roberts? The film to book reversal continued recently as, while marvelling about the discovery of the book, I discovered that some friends had neither seen the film nor read the freshly discovered book. So we held an old-school movie night at a friend’s house, with cheese and crackers, chips, and dessert and 10 of us sitting around a big-screen TV. By the end most of them were saying what I said: having come to The Princess Bride via the film, they’re now keen to read the book.